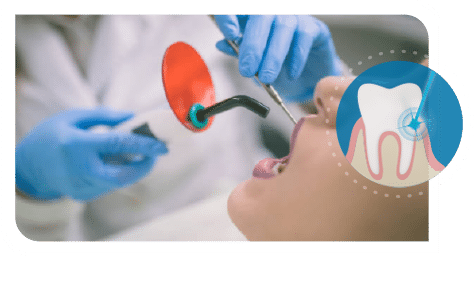 We provide comprehensive periodontal care with the greatest attention to your state of health, circumstances, and take care to provide personalized treatment and solutions that will work for you. We treat patients as if they were part of our family and team, working with you to resolve gum disease, place dental implants, bone restorations, and to create and maintain optimal oral health. 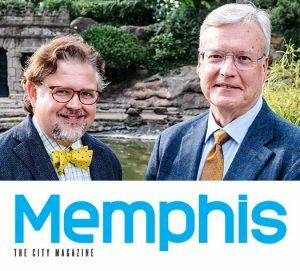 We’ve been featured in Memphis Magazine and voted Top Dentists/Top Periodontists for many years! "I've struggled most of my life between braces and bridges and other methods. I can't encourage you enough to come to this office. Between the compassion and professionalism of the staff and the doctors themselves, you couldn't be at a better place." 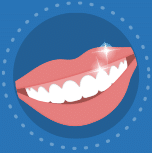 "I've found that I can trust them to do periodontal work and/or implants exactly right each time. I had a root canal fail after 50 years and I had Dr. Godat do the procedure; I have the implant and I can't tell that it's not a natural tooth. " "Dr. Godat literally saved my husband's life." 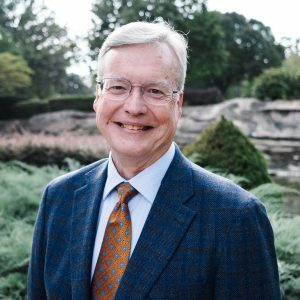 "Anyone would be afraid of getting a dental implant, but Dr. Craddock walked me through the whole process." "In Dr. Craddock's care I felt no pain and was very confident in his skills." I started with Dr Miller, he saved my teeth that we thought could not be saved. I've been a patient for over 20 years. Services has included Bone Grafts, Implants, and Periodontal Maintenance. All the hygienist are the very best in the city. I do believe they care about the wellbeing of their patients. I'm glad to be able to recommend Periodontal Associates. The staff is very personable and professional. I have not had a bad experience. Dr. Godat is amazing and takes his time to answer questions. I would highly recommend them. I am so happy that I chose this group to work with for my implant. Every person that I worked with at this office was competent and friendly. Each person followed up when I had a question or concern. The ladies at the front desk , Teresa and Noi were awesome! I needed a note for my boss but forgot to get it when I was there and Noi had it in my inbox by the time I was home. Whitney was extremely knowledgable about what was going to happen the day of my procedure which was refreshing since she is the finance coordinator. She help me get a payment plan that worked for my budget. Shana also was very through to explain what was happening during each step of the process. I felt very comfortable with her. What can I say about Dr.Craddock but he is the best! I was having anxiety about some aspects of the implant and he sat down and spent time explaining the procedure, materials, process etc...The work that he did in my mouth was perfect. 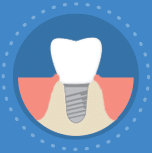 I never had any pain even after the initial day the implant was installed. I HIGHLY recommend this practice to anyone who wants to have a good experience from the get go. I had the best experience with the placement of my implant with Periodontal Associates of Memphis. Not only was my procedure explained in full, but I cannot express how much Dr. Godat and his team go to great lengths to make sure your procedure goes smoothly covering every detail along the way. The staff is so kind and calls to follow up on every procedure to make sure you are ok. They are truly THE BEST in oral care and I recommend them all the time! I really appreciate the fast and courteous attention that I received following a misunderstanding. Ms. Melissa really was very nice and seems genuinely concerned. I'm a happy trooper now and I'm happy because the dentist were also Awesome. I look forward to coming again!! Dr. Craddock is an Awesome Periodontist Dentist! 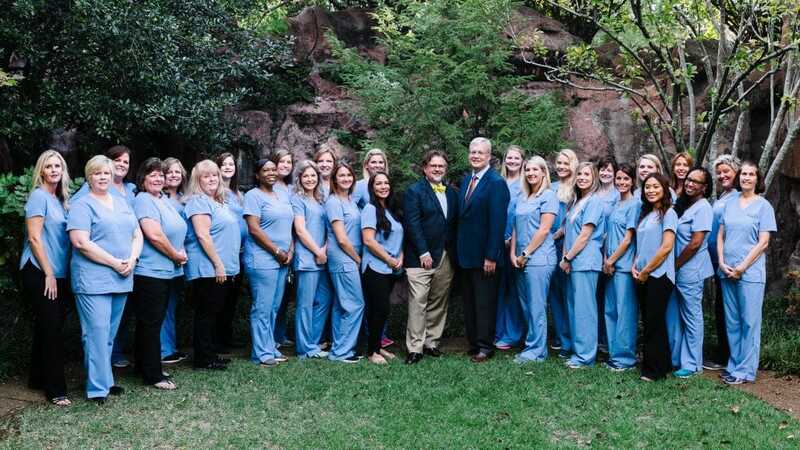 Dr. Godat and his staff are wonderful! 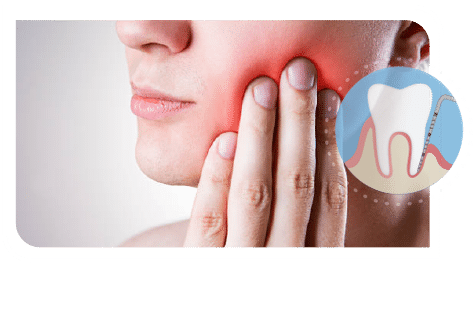 I was very apprehensive about having any periodontal work done because I had a horrible experience during a dental procedure at a different dentist. Because I shared my concerns with the staff here, they prepared me well for my procedure so I wouldn't feel anything! They also checked in on me multiple times after the procedure. At my final visit, they even gave me a nice little goodie bag. It's always a pleasure going to see Dr. Godat and his staff. They are wonderful! The entire staff here is kind, caring and professional, and Dr. Godat is an excellent, attentive periodontist. My appointments were always punctual and Dr. Godat and his staff always made sure I knew what to expect at each visit. He even called me the day after my surgery to make sure I was feeling okay. Had my final check up today and was given a goodie bag with all sorts of fun things in it - not just the usual oral hygiene stuff, but a tumbler, sunglasses and a Target gift card, too. I love having my teeth cleaned by the hygiene team! They take such great care of all of us here at Perio Mem. I am terrified of the dentist and anyone messing with my teeth. After a traumatic experience as a child, I’ve been a terrible patient! I put off having the crown lengthening and gum graft for YEARS and I’m so ashamed! Dr. Godat and his team were so understanding and validating of my fears and they answered all of my 100s of questions with kindness and so much grace! The procedure itself was not nearly as bad as I had convinced myself it would be. They followed up multiple times and continue to be an incredible source of knowledge and kindness to me. I didn’t realize how bad my teeth looked previously, but have received so many compliments on how much better my teeth look now and how healthy my gums are! I’ve gained so much more confidence knowing that I have a better smile. Thank you, Dr. Godat and team for EVERYTHING! The whole team at periodontal associates was SUPER! Thanks to all of you for your professionalism & caring spirits! I usually dont look forward to a dental visit but you guys make it sooo much easier! Iknow that i am in great hands!! AWESOME JOB! 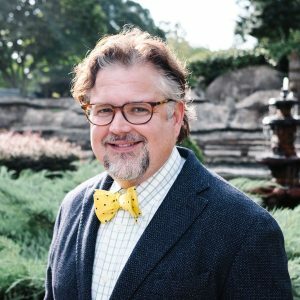 Best periodontist in Memphis! Love Dr. Craddock and his staff! I love this organization. They are very professional and do an awesome job. The assistants are great. Thank you for all you have done for me. I was sent to Dr. Craddock to treat gum recession by a referral. Dr. Craddock and his staff did a superb service on my dental issues.The staff, from the front desk to the medical personnel in the back were professional in everything they did. I have to thank everyone of them for being very good in the service they performed. They enlighten me the proper technique of brushing and flossing, things I already thought I knew, but not completely.Thank all of you. So glad I was referred here years ago! Love seeing Susan for cleanings every 3 months! Great staff... Painless... Highly recommended. Dr Craddock does excellent work. Everyone there is very professional and highly skilled. Very happy with work done there. PreTreatment: Short stubby teeth make the face appear fuller just like horizontal stripes on a shirt. PostTreatment: Longer Teeth accentuate the face. Longer teeth make the face look longer which makes one look thinner just like vertical stripes on a shirt. 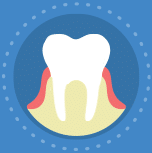 Most Americans have some stage of gum disease, ranging from mild gingivitis to advanced periodontal disease. Our office offers treatment for every stage of gum disease, allowing us to stop or even reverse its effects to restore your gums to health and minimize the chances of tooth loss. Our office was the first Memphis periodontal practice to offer Laser Assisted New Attachment Procedure (LANAP). This unique procedure allows Dr. Craddock and Dr. Godat to provide effective treatment for advanced gum disease without the need for traditional gum surgery. Drs. Craddock and Godat have placed more than 23,000 dental implants. 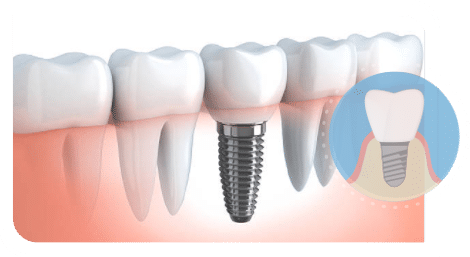 Dental implants placed at our practice and covered with a restoration can restore the arch of teeth, provide support for remaining original teeth, and stimulate new bone growth for a more stable mouth structure. 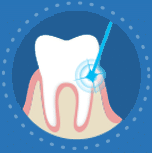 Cosmetic periodontics lies at the intersect of periodontics and orthodontics. Our Memphis periodontal office offers cosmetic periodontal solutions, providing for long term gum health and a beautiful, functional smile.